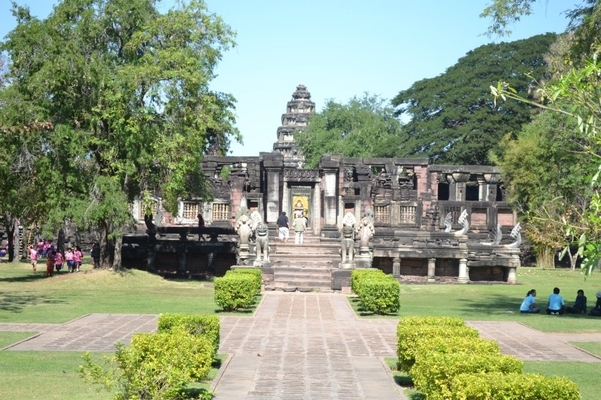 Phimai Historical Park is home to the most spectacular and important Brahmanic temple in Thailand. The structure was built in the 12th century AD, outdating that of the famous Angkor Wat in Cambodia. The restored sanctuary sits on a high plain surrounded by three large canals. The Khmer architecture of the sandstone structure attracts tourists from all over the world to the town of Phimai. Admission is 9.00 – 18.00 daily with an admission fee of THB100. Ban Prasat is a site consisting of 3 archaeological excavation pits, believed to be an agricultural community dating back to the prehistoric period in the south area of North-east Thailand. Each pit digging deeper than the other, provides information into three different periods dating from 500-3000 years ago. Sai Ngam is a 350 year old Banyan tree located on the bank of a river near Phimai. This holy ordained tree is perhaps the largest Banyan Tree in South-east Asia. It covers an area of 1350 square metres. The popular spot is flanked by restaurants and souvenir shops, making it a popular lunchtime destination for tourists and locals alike. 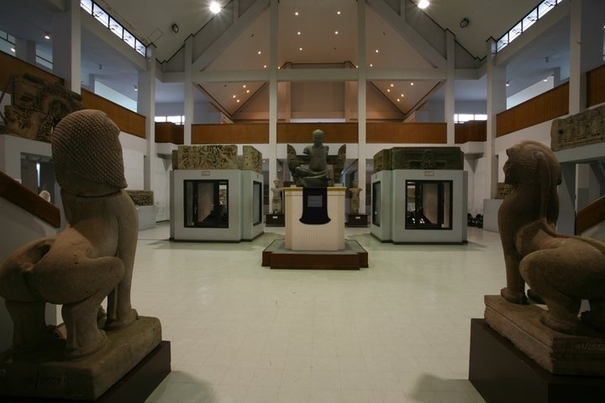 Phimai National Museum is located about 300m from Phimai Historical Park. It houses a collection of objects and artefacts from lower Isaan, Nakhon Ratchasima, Chaiyaphum, Buriram, Surin and Si Saket Regions – making it the centre of cultural heritage in Northeaster Thailand. Admission time is 9.00- 16.00 daily, with a fee of TB100. The Thung Samrit memorial is located in Sam Rit just a 2 minute bike ride from Sam Rit Residency. The precinct was built on the field where the battle between Korat villagers and Lao Soldiers fought during the reign of King Rama III. The memorial precinct includes a shrine paying homage to the fighters, as well as a museum housing agricultural artifacts from the area. Phimai Festival - 2nd week of November - in the ancient ruins 250 students in period costumes re-tell the story of the local history. A spectacular event by any standard.